NEWS – When I am not out and about taking pictures either as a professional photographer or for my own pleasure, my other business is as a videographer. Both of these jobs require gear that is viewed as mandatory and gear that is driven by personal desire. Video gear is as expensive as photography gear and in most cases even more expensive. When shooting video, there are many accessories that help to improve the experience and the ability to do a great job. One accessory that I own and have multiple variations of is an on-camera monitor. This is a great tool that allows you to properly see what you are recording, and depending on its capabilities, it also allows you to assess the quality of the footage as you shoot. 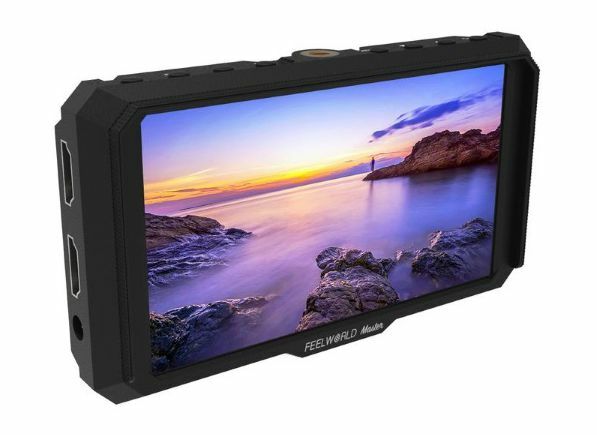 Good feature-packed on-camera monitors can be quite expensive ranging from several hundred dollars to thousands of dollars. Recently someone recommended to me the Feelworld Master Series MA5 monitor. This monitor in a 5 inch LED on-camera monitor with a resolution of 1920 x 1080. It is capable of both 4:3 and 16:9 screen format, and it has an HDMI input and output as well as an audio out. The HDMI supports resolutions from 480i all the way through 4k 4096x2160p and has a left/right viewing angle of 80 degrees from each side. It comes with hardware mounting options, cables, a sunshade, and a case as a part of the package. If you would like to read more about this monitor go to the Momanplay website. It sells for the relatively inexpensive price of $169 on Amazon.